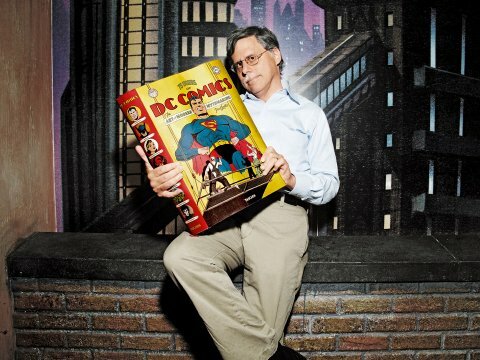 A promotional image of author Paul Levitz holding the book. 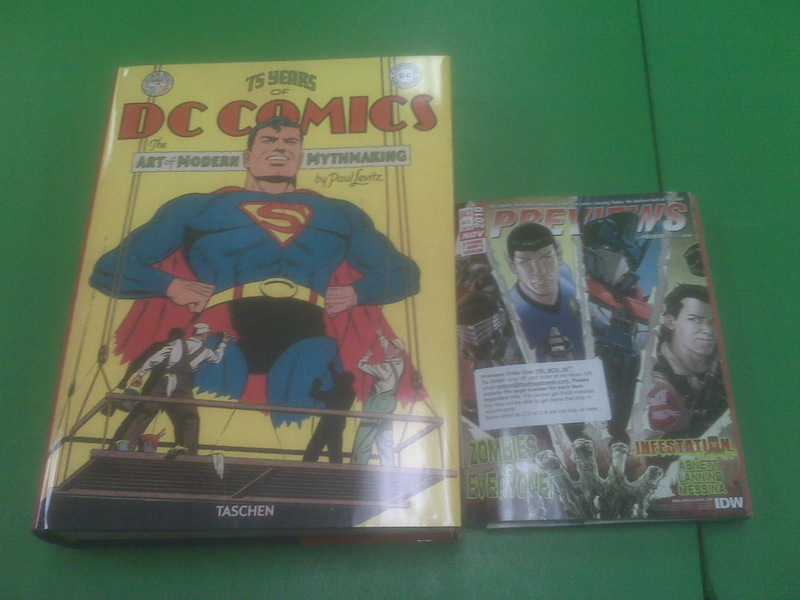 The new and much talked about release from Taschen Books is 75 Years of DC Comics – The Art of Modern Mythmaking by Paul Levitz. 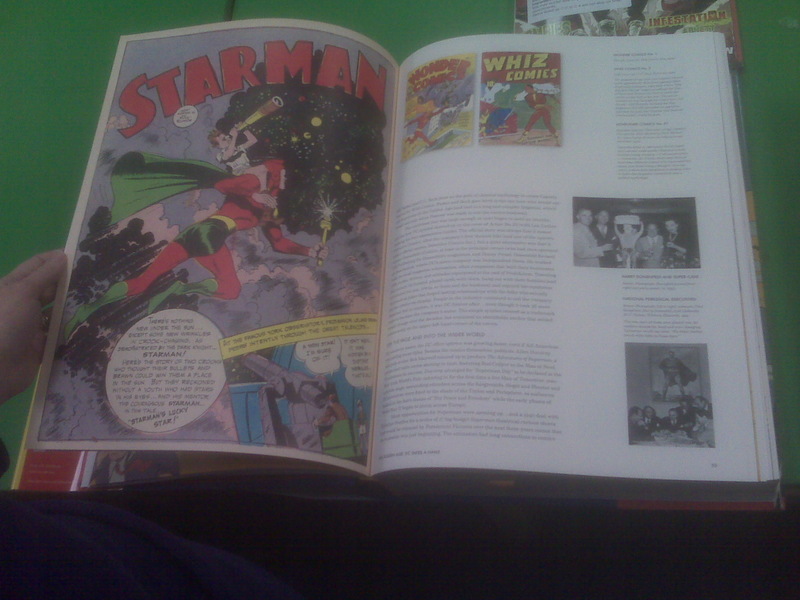 While not specifically Canuck, there is a lot of great content on the history of DC comics and some Joe Shuster related information. The very large, very heavy suitcase packaging for the book. 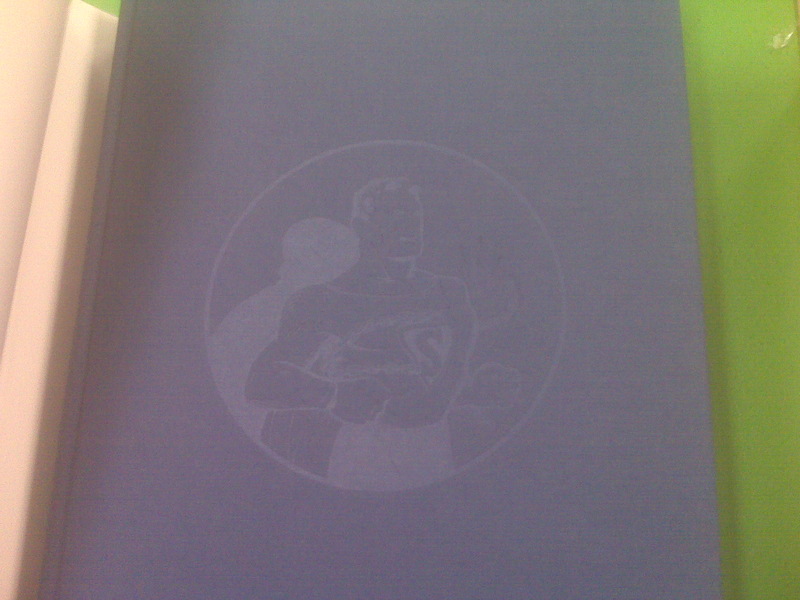 With the dust jacket removed, here is the cover, an image of Superman breaking chains by Joe Shuster. 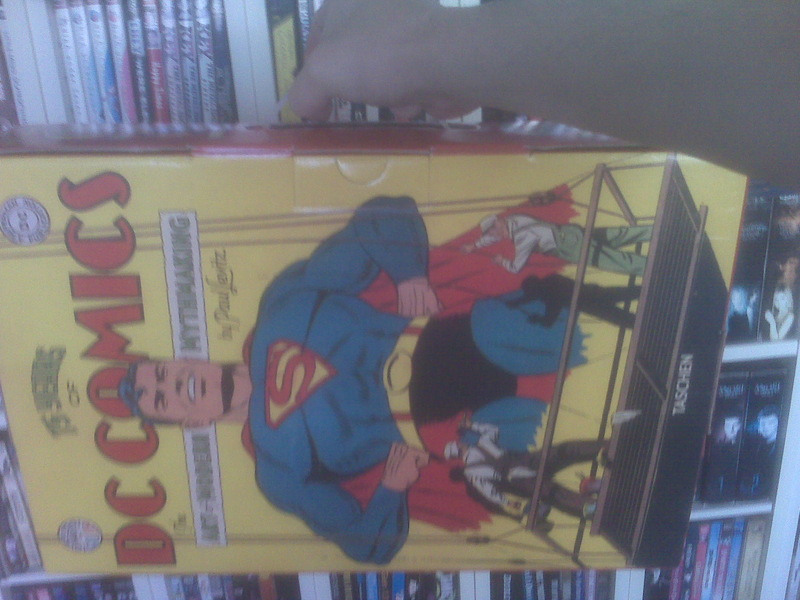 Gatefold chronology of DC's Golden Age. Interior shot. 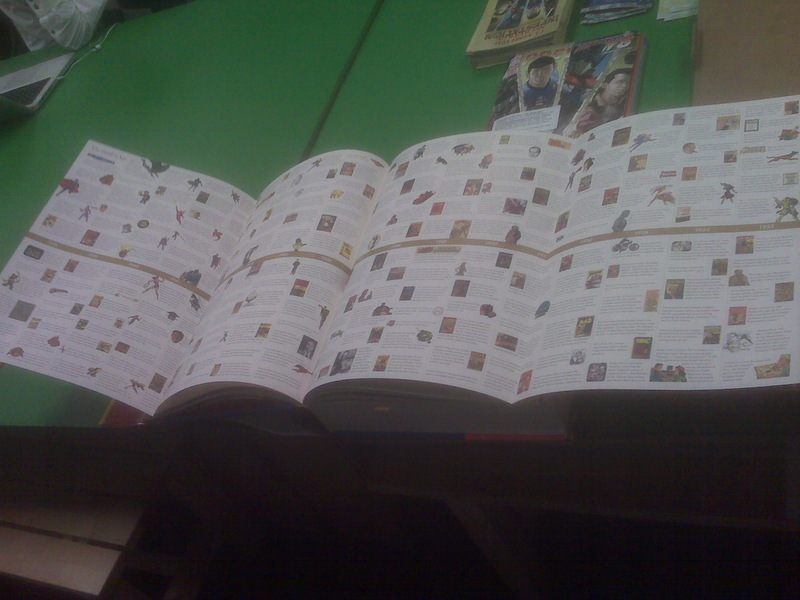 Every page is packed with gorgeous images. 'The Golden Age' - a golden double spread of Joe Shusters 'Action Comics #1' cover. 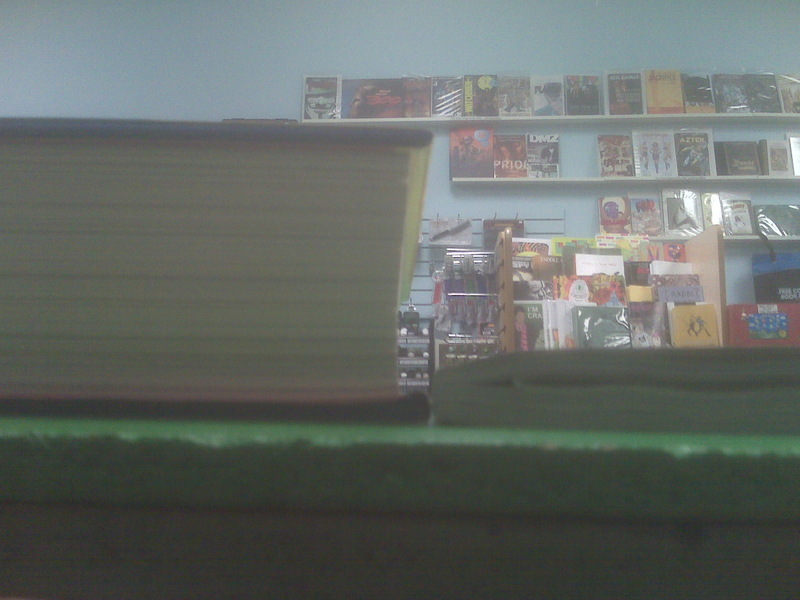 Just how big is this book? 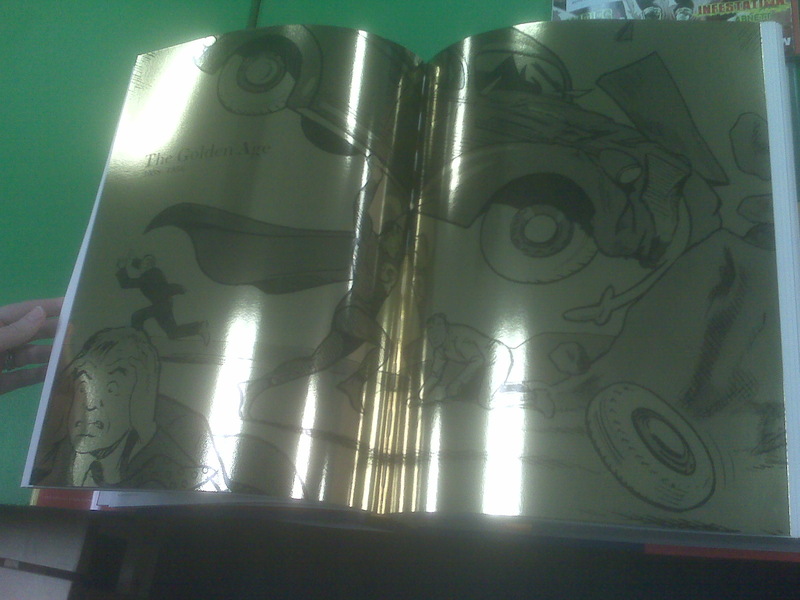 Here it is compared to the November Previews magazine. 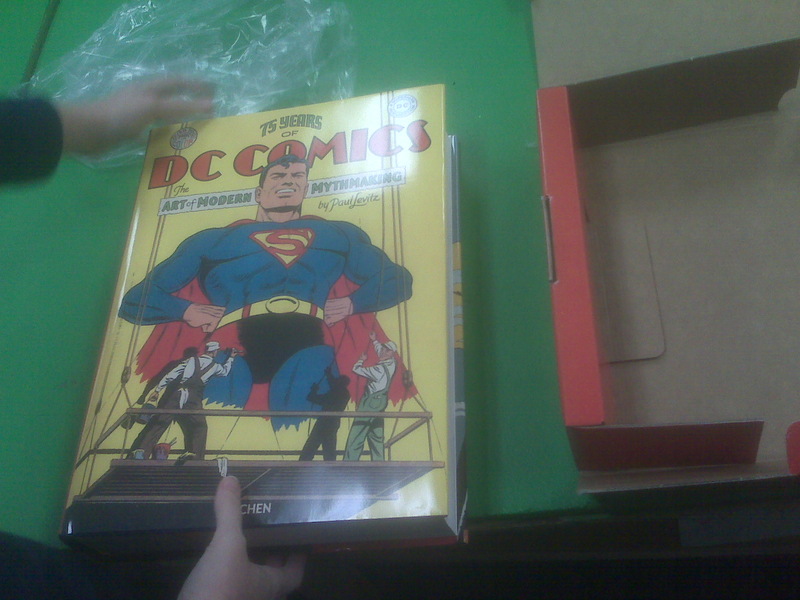 At 720 pages, '75 Years of DC Comics' dwarfs the Previews magazine. This entry was posted in 2010 Releases, Op/Ed by Robert Haines. Bookmark the permalink.